Here is the dilemma of the jobless, what to do while you're waiting. 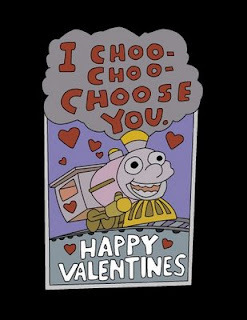 There's the obvious jobhunt, but for every 5 resumes you send out, you will probably only receive one response saying "I choo-choo-choose you ... for an interview". And then there's after the interview, which is worse than the after-the-first-date wait. You know you had a phenomenal interview, everything was all smiles, you wear anything visibly embarrassing (you hope), and everything ended on good terms but it's still a week later and there's been no follow-up. To be honest, I've never prescribed to the idea that I have to work at a job I hate to get by. I feel like, between my many years of education and my varied interests, I should be able to find something I somewhat enjoy as well as something that pays me enough to get by. Times aren't desperate (yet) but still there are so many things out there. I've gone on a lot of interviews and the problem always seems to be the follow-up. So what do I do while I'm waiting? Clean (or at least intend to clean), blog, make appointments to get my cats checked out*, cook (I made mini hamburgers yesterday and it's vegetable pad thai tonight) and attempt to control my anxiety. It comes and goes in waves. I'm not a person who likes being directionless. I actually thrive off of pressure and multiple projects. College for me was almost a time of bliss - red-eyed, tired bliss but bliss nonetheless. This for me is the antithesis of bliss. The problem with moving across the country from all of your family and friends is that you lose your safety net. Essentially, that's also the reason why I moved but occasionally the drop seems far worse than I thought it would be. *P.S. I'm afraid my cat might be pregnant again which may cause me to tear out my hair. That is all.